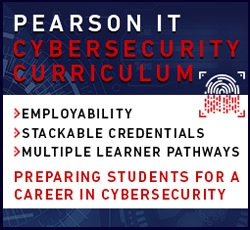 Pearson IT Certification is a leader in providing flexible learning options. 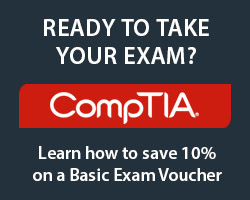 For the new CompTIA A+ 220-1001 (Core 1) and 220-1002 (Core 2) exams, start with our unique Exam Profile which offers tips, tricks, insight into exam trouble spots, and more. Next, prepare for exam success with our comprehensive set of learning materials including Complete Video Courses, best-selling Exam Cram products, practice tests, and Certification Guides. Become CompTIA A+ certified today and start your career in IT Support, where you will be working in areas such as installation, preventative maintenance, networking, security, and troubleshooting. * Coupon APLUS provides 80% discount off the list price of eligible full-course videos, and 40% discount off the list price of eligible print and eBook titles purchased on pearsonITcertification.com. Eligible titles include featured 220-901 and 220-902 titles only. Coupon does not apply to book + eBook "Best Value" or "Additional Savings" bundles. Coupon offer expires July 31, 2019. May not be combined with any other offer. Not redeemable for cash. Offer subject to change.